Tip Top has expanded its popular Gourmet Burger Range, which already includes brioche, slider and damper products, to include a pre-sliced Milk Bun. The soft and airy Tip Top Milk Bun, inspired by old Japanese baking traditions, has subtle dairy notes, with short, white crumb and a light glaze. The new product is pre-sliced to save chefs valuable time in the kitchen after Tip Top Foodservice research found that 27 per cent of chefs view pre-slicing of buns and rolls as an ‘extremely important’ functional benefit. According to the company’s Chef Panel in July 2017, 41 per cent of pubs and clubs see pre-slicing as a key driver for purchasing decisions. 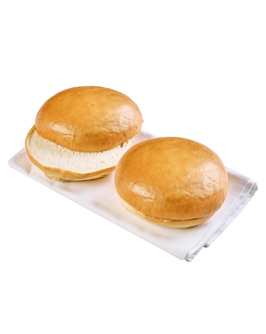 The Tip Top Milk Bun caters to an increase in demand for gourmet buns and has been designed specifically for pubs, restaurants and cafes who need a quick-to-table burger without compromising on quality. “The new Tip Top Milk Bun gives venues more flexibility to offer a range of different burgers to their customers. Foodservice outlets are increasingly developing menus with premium burger products and need a lighter bun to be served alongside denser brioche and damper style buns,” explained Darren O’Brien, National Account Manager, Tip Top Foodservice. “The range of Tip Top Gourmet Burger Buns including the new Milk Bun allows foodservice professionals to cater for the rise in demand for sharing and casual dining options with a range of different sizes and styles,” O’Brien added. The Gourmet Burger Range thaws quickly, meaning minimal impact on preparation time, and can be stored in the freezer for up to four months.